« Giants Pulling Plugs — But Is That Enough? My opinion; congratulations to Ben McAdoo and the New York Giants – Giant fans never saw this coming. But we’ll take it from a conservative team like the G-Men. Most of the NFL teams that made coaching changes last season all became better this season and hopefully the Giants will as well. McAdoo; now Giants fans can use the terms Up-Tempo and West Coast and MC Attack, while talking Giant football 24-7. McAdon’t; don’t be so quick to throw Will Beatty under the bus – Ben McAdoo has to give him a chance to rebound! And the Giants have a lot vested in Beatty and McAdoo is now a Giant insider. He will make it work! McAdoo; lets hope that David Wilson comes back next season better then ever and that Ben McAdoo uses him the same way that the Packers use Randle Cobb as a receiver because DW has flat out sprinter speed and can spread the field! McAdoo; rebuild the O-line by drafting a big ol nasty center, like – Travis Swanson or Weston Richburg or a Tackle like Cyrus Kouandjio who can also play center. 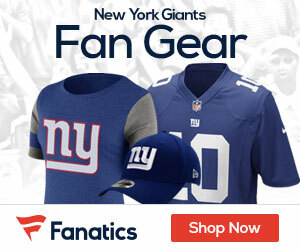 McAdon’t – Don’t be afraid to spend money on a back like Maurice-Jones-Drew from Jacksonville – he needs a new start and so does the Giants running game! He is small and compact and moves the pile. McAdoo; give serious consideration to moving up for Jadeveon Clowney. Seriously this guy would make our defense a top three over night because he stops the run, and when teams stop the run they play down-hill and the Giants would start to forget about sacking the QB on every snap – which leaves the rest of the D-players vulnerable! And we have the pieces to make it happen. The Giants #1 this year, and Ryan Nassib, and a #1 and 3 next year. McAdon’t; Giants should not be so willing to spend a lot of their cap money on older Giant players who want to return when one year contracts will work just fine. McAdon’t; don’t have to use the first pick on an O-linemen when we will get a great player at the twelfth spot. Like DE Kony Ealy or LB C.J.Mosley. Wide receiver Mike Evens would look nice in blue as would Darqueze Dennard and this is a great year for big linemen in the second and third rounds. McAdoo – get the tailor up to John Maras’s office ASAP and cut the team some new duds – Unies. The Giant never wore white pants in the 50’s and early 60’s they were silver grey and metallic and that’s what we need with bold strips and white socks…to make this team rock again! Love the angle. But if we dont take an OL or a TE in the first two rounds, remote is going through the TV which will be in the front yard. Hey Andrew…I think the Giants will get a great tackle in the draft and letting Mike Pope go says a lot…when you think of it except for Kevin Boss who has he coached up? Got to get younger all around…And I understand theres a lot of cap money there this year as well who are the TE free agents?